When you have a baby shower coming up you want to make sure that you get a gift that can be useful and helpful at the same time you want to make sure that it is cute. If expecting parents do not have a registry coming up with ideas can be tough. We are here to help. We have created a list that includes the Best Baby Shower Gift Ideas. No need to look for inspiration or try and find something at the store. This list has been created to make things easy for both the expecting parents and yourself. Update has been completed and this page displays the best baby shower gifts in the current marketplace. Each product has been viewed to make sure it is cute enough for you. Also to make sure it meets the criteria of our site. Happy viewing. This darling gender-neutral option makes the perfect baby shower gift for any expecting parent. These bibs are hypoallergenic and super absorbent. Made from 100% organic cotton in the front, and 100% polyester fleece in the back, this bib is comfortable, stylish, and will keep baby’s clothes safe from minor spills and drooling. The snap button closures mean all bibs are adjustable and can be individually fitted to babies aged 3-24 months. No velcro means no scratches or agitated skin! 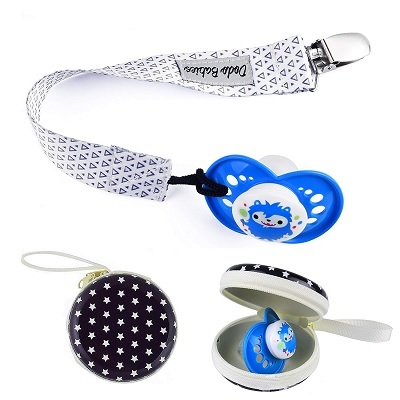 The set includes a pacifier holder and two uniquely designed pacifier clips. Everything is contained in a delightful gift bag, meaning it’s ready to present right off the shelf. A beautiful display for moms to be, and no hassle on your end. 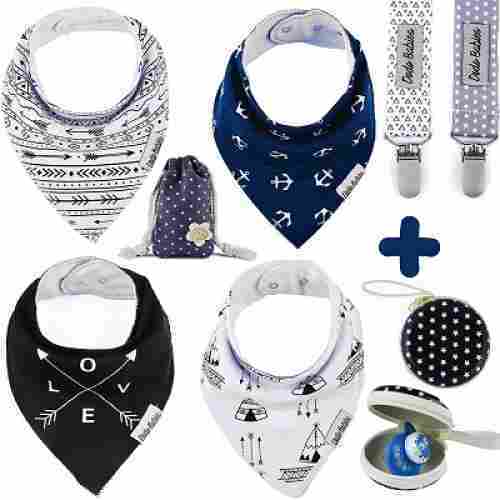 Drool bibs help protect baby’s soft skin and cute new outfits from spit-ups, drool, and minor spills. Keeping baby clean is hard work, and new parents can use all the help they can get. 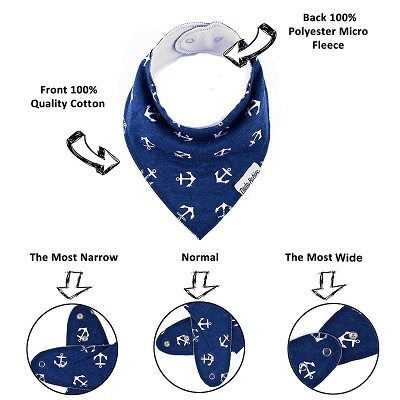 There are four total bib bandannas, all of which come in darling gender neutral styles and can be adjusted to fit babies’ neck. They’re comfy, they’re cute, and they help everyone stay clean! Includes every infant care and grooming item. Two choices of color pink or blue. Durable plastic case for on the go. Safe and toxic free material. Some parents might find the products cheaply made. Caring for a newborn is very challenging. An infant can look so fragile in the first few days of life. That is why it’s best to give Mom the Complete Nursery Care Kit so she can better care for her newborn. The set comes with a medicine dropper and dispenser, a forehead and digital thermometer, a nasal aspirator, newborn grooming kit, and quick-reference emergency information card. The set comes in a convenient clear plastic bag so Mom knows exactly what to grab out. The Summer Infant Complete Nursery Care Kit is a wonderful gift! The kit comes included with everything a new mom will need to care and groom her newborn with. The durable plastic case is a great way to keep all the items easily stored and on hand or to take it on the go when needed. It’s truly a convenient and stress-free gift perfect for the first time mom, and it's safe and toxic-free material the kit is crafted from. This is almost as complete as what they have in actual nursery facilities in hospitals. Soft and gentle washable fabric material. Easily grasped and played with by baby. Made for mom and baby bonding. Develops fine motor skills and coordination. 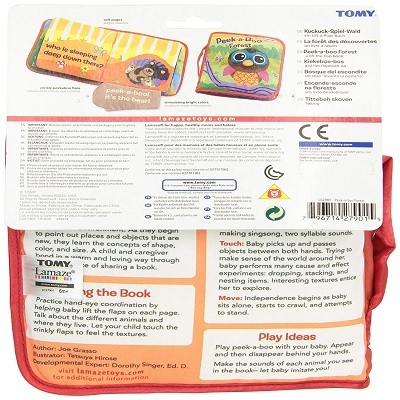 Encourages reading and language development. Binding of fabric material could easily rip. Sure, baby cannot read yet but did you know that baby loves listening to Mom’s voice and watching Mom’s face? 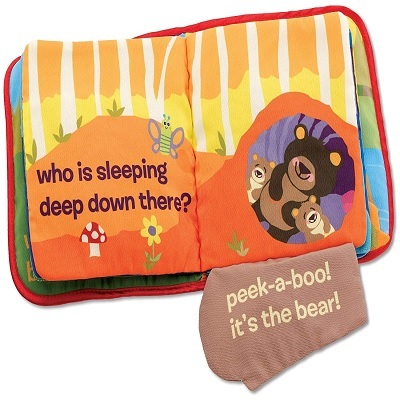 With the Peek-a-Boo Forest soft book, you can help encourage Mom to read to her baby as a form of sensory stimulation. 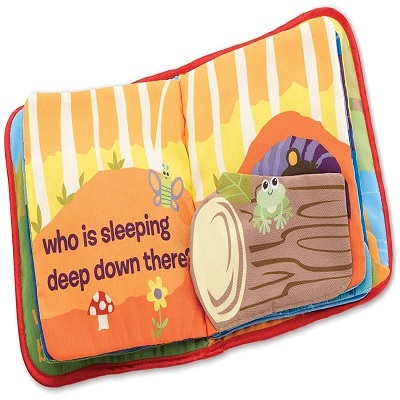 The soft polyester fabric of the book also makes an excellent tactile stimulant for baby. 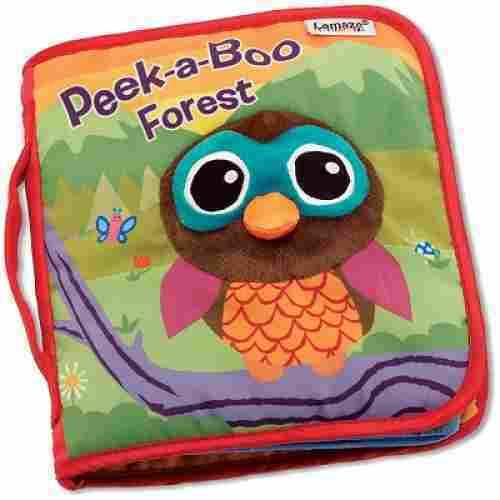 The Lamaze Peek-A-Boo Forest is a wonderful baby shower gift! The toy is soft and gentle making it a safe toy for the baby to handle and is crafted from washable fabric material keeping it clean and hygienic. This is a wonderful item for mom and baby bonding and can be easily played with and used by the baby. Since the toy is development focused, your baby will develop their fine motor skills and hand-eye coordination and will have a love of reading nurtured into them. This encourages Moms to really read to their babies while cuddling them up close to their bodies. This helps foster emotional attachment and helps the baby feel more secure and safe with Mom. It also helps foster brain development. Includes everything for bath time. 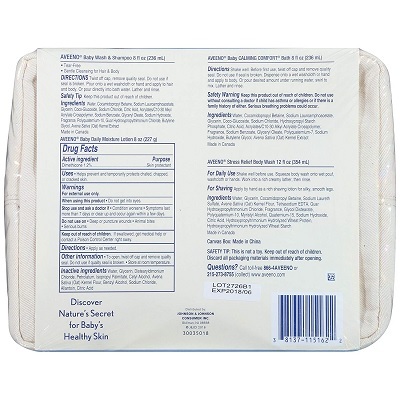 Irritation free of the skin and eyes. Comes with useful canvas storage box. Heals and protects baby’s delicate skin. Some moms might prefer scent free. athing a newborn can be quite tricky. With the Aveeno Baby Daily Bathtime Solutions Mom will never have to second-guess baby’s bathtime again. It comes complete with baby body wash, moisturizer, calming comfort bath, and shampoo. It also has a stress-relief body wash for Mom which contains lavender, chamomile, and ylang-ylang essential oils. The Aveeno Baby Daily Bathtime Solutions Gift Set is a wonderful baby shower gift! The kit includes everything a mom needs to bathe her baby and comes in a convenient canvas storage box making bath time a stress free experience. The mom-to-be will be pleased with the safety of the products as they are irritation free of the baby’s skin and eyes and will love the healing and protection of the delicate baby skin from issues such as dry skin. The kit also comes with healing, calming wash for the mom to use giving both mom and baby a happy, calm and loving bathing experience. It’s a complete bath time solution for both Baby and Mom. It’s good for keeping baby’s skin well-nourished and cared for. Give the gift that holds a moment in time still. This picture frame and hand plus footprint captures the moment when your little one was the littlest. It will capture the time when you remember them grasping their little fingers around yours, crying for your tight hold, and when they fit in your arms. The frame allows you to cast their fingerprint and handprint in clay keeping the moment forever. Included with the set is a wood frame that has been constructed from solid wood and then hands painted, plus 3 packs of white clay. The clay is non-toxic and completely safe for your little one. Plus in the kit, there is a mini roller, some double-sided tape for holding the picture in place, the frame backboard, divider, and outer frame. Inside the package is super easy to follow directions that make it easy to complete the project without any worries of messing it up. The clay dries in 48 hours after being exposed to the air. The set does include four different colored backboards; pink, blue, white, and cream. This allows the frame to really have a custom and professional look. 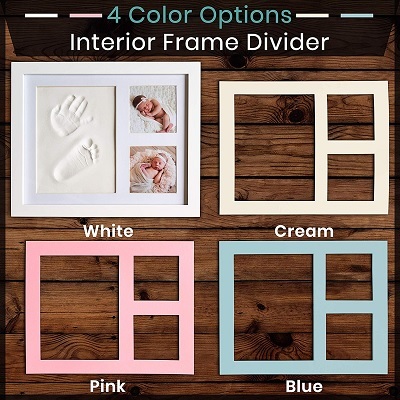 There is a place for two different pictures in the frame. Capturing this special moment in time will never be as easy as this kit makes it. From the tine footprints to the tiny fingers this frame will capture the time that you will cherish forever. Included with the kit are 3 packs of clay. This clay is non-toxic and creates wonderful molds of their little fingers and toes. The best part about the clay is it is not like other molds that only have a very small time frame when created the impression. You have plenty of time to get it just right and if not, pick the clay up and reform it. Then try again. It’s that simple. Cute, simple, and creates a gift that can be cherished forever. Babies are only small for what seems like a moment. Being able to capture that moment is wonderful for parents. Suitable for you babies of 1 – 6 years. Older kids will not like it. Young babies need all the comfort they need while sleeping and resting so they grow up a lot healthier. Give the Plush Snuggle Buddy Sugar N Spice Doll as a baby shower gift to provide not only comfort but also a companion for Mom’s little baby. The doll is made of 100 percent polyester with a satin lining. This can double as baby’s security blanket. 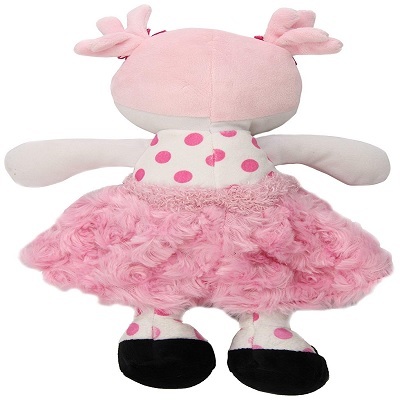 Any kind of plush doll will provide unlimited amounts of comfort to the kids who squeeze and hug them. This Sugar ‘n Spice doll is cute and playful and serves as both a source of comfort while also becoming a toy for imaginative play later on. 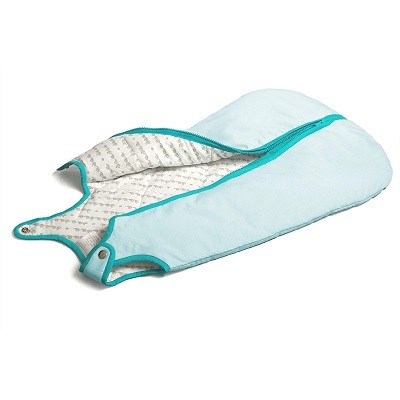 It’s soft and huggable so it should be perfect for baby’s sensitive skin. This can also help with baby’s sensory development. New parents always experience a rush of feelings they’ve never experienced before. Sometimes, it can be difficult to put that into words. 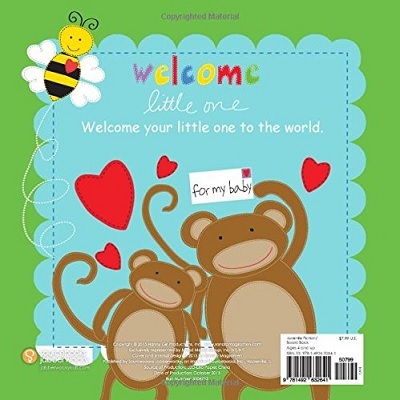 This sweet little book does a tremendous job of expressing the many sentiments that rush through a mother or father the first time they look at and hold their baby. 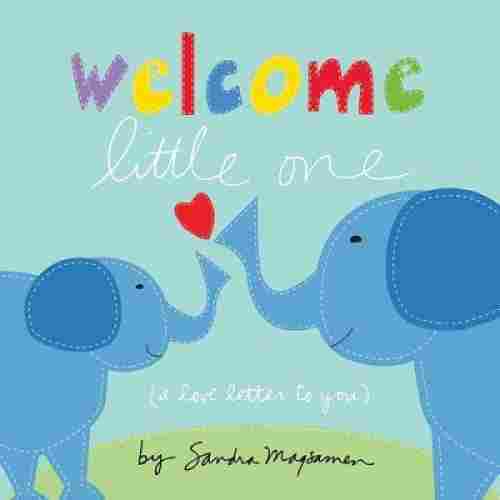 Beautiful little animal illustrations accompany the rhyming love letter to the newborn baby. 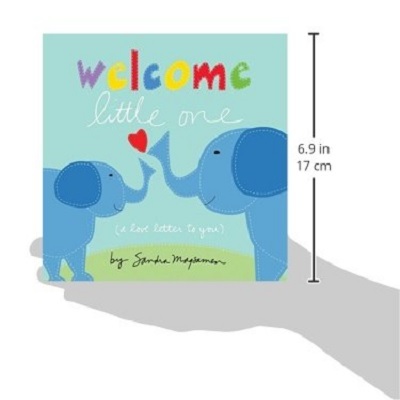 The tone of the book is gentle and peaceful, making it the perfect thing to read to the baby as you rock them to sleep. Both sentimental and useful, this book will last the family for years as the child grows old enough to follow along and then read the book themselves. Sometimes the perfect gift is one that expresses the sentiments surrounding the cause for celebration. Give soon-to-be parents all the words they’re looking for along with darling little animal drawings. They’ll have something to help them remind baby each and every night just how loved they are. It’s sentimental but it will last the family a good, long time. Older siblings can read it to baby, parents can read it to baby, and one day baby will be able to read it all by themselves. Soothe your little ones to sleep with this comforting owl. Newborns often have a hard time sleeping and tools that make them be able to sleep more restfully are always appreciated by parents. This cute plush owl allows babies to feel safe and helps them relax when they are going to sleep plus stay asleep longer. 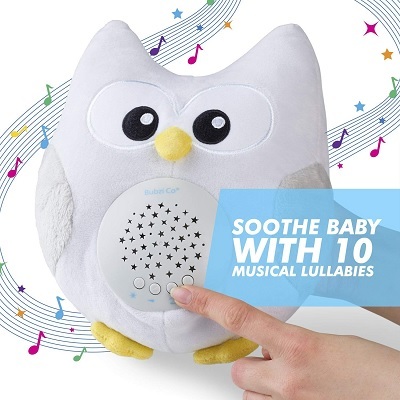 It plays gentle lullabies that soothe babies. It is proven that when used with a consistent routine around a sleep schedule can help them fall asleep and stay asleep. The owl plays ten different songs and when left on will atomically turn off after 30 minutes of play. The music includes lullabies like; baa baa black sheep, minute, and even natural sounds like bird noises, plus the heartbeat sound that makes them feel like they are back in the womb. 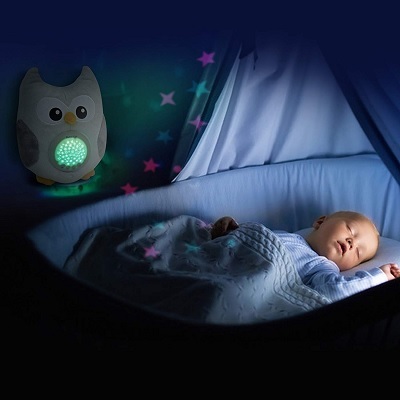 The owl’s tummy features a soft night light and when pressed will display a star pattern on the ceiling or wall. It even changes colors to help get their attention. From nighttime to nap time, this soother is surely one of the best gifts that you could give to an expecting Mom. Even the batteries have been included just to make it that much easier on them. Using a soother for your baby to fall asleep is wonderful and can really just establish a routine for them to sleep longer and more peacefully. Often the soothers have to be turned off after they fall asleep and that can really disturb a little one when they are sleeping. 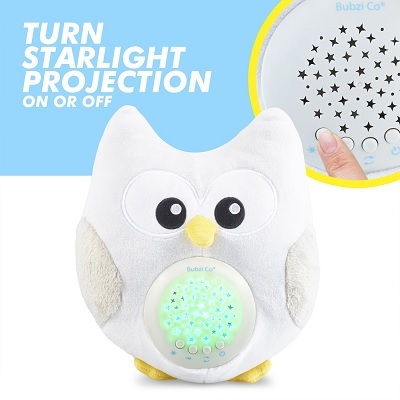 This owl features a 30-minute automatic shut off feature. It turns itself off, so there are no worries about making noise or waking them up. This plush owl is as cute as it is useful. The soft sounds that it makes it ideal for babies to fall asleep to. 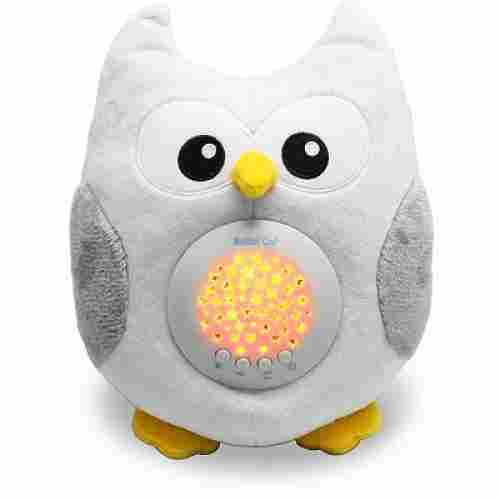 Creating a great sleep time routine is ideal for babies and this owl helps establish that routine and babies just love it. 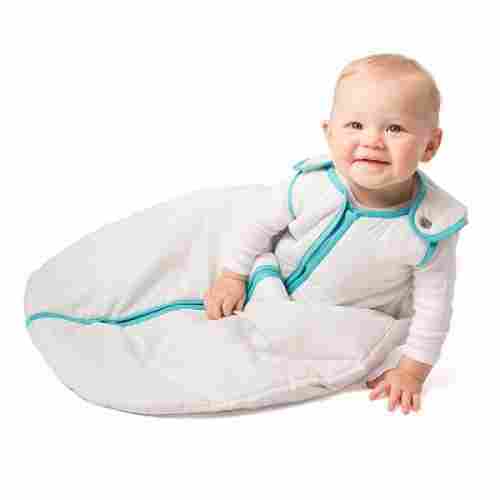 Another interesting baby shower gift is the Sleep Nest Baby sleeping bag. Just look at it as a baby jumpsuit but with closed lower ends. This should protect Baby from cold temperatures. It’s made of ¾ cotton and ¼ polyester with polyfill quilting. The exterior is nonetheless made of 100 percent cotton. 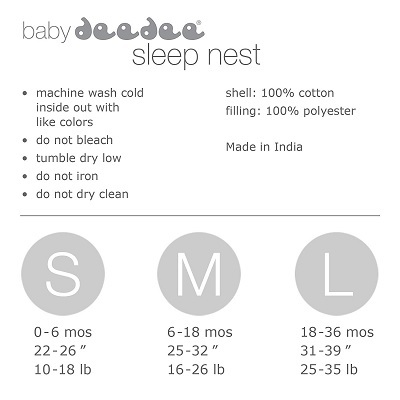 The Baby Deedee Sleep Nest Baby Sleeping Bag is a wonderful baby shower gift! 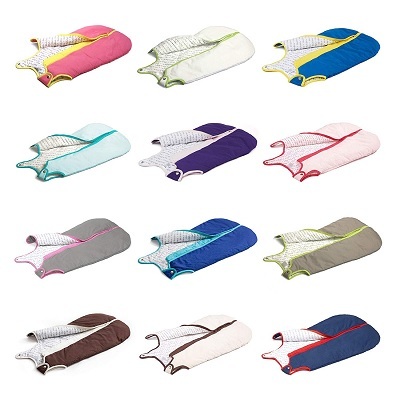 The soft material of this gift will help keep the baby soft and cozy and being machine washable will keep it hygienic. The mom-to-be will be pleased with the gift’s ability to keep the baby warm without overheating as the fabric is breathable and helps with body temp regulation. The gift is also easy to use making rest time a peaceful time for both mom and baby. It’s a comfortable way for Baby to take a nap. Helps promote peaceful rest and adequate temperature regulation. Soft and gentle machine washable material. Two choices of colors white or pink. Embroidered material provides safe usage. Fun rattle noise for play and development. Some moms might find it too small for their baby to enjoy. Sleep and rest are essential for the optimum growth and development of babies. Giving them sensory stimulation further helps in brain development. Such is the purpose of the Gund Winky Lamb Baby Rattle. The toy’s made of a high-quality polyester blend with beautifully embroidered nose and eyes. 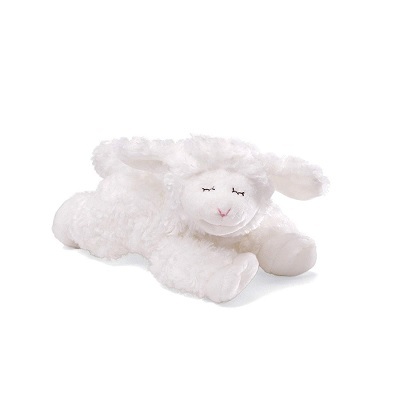 The stuffed lamb contains rattle beads for added sensory stimulation. 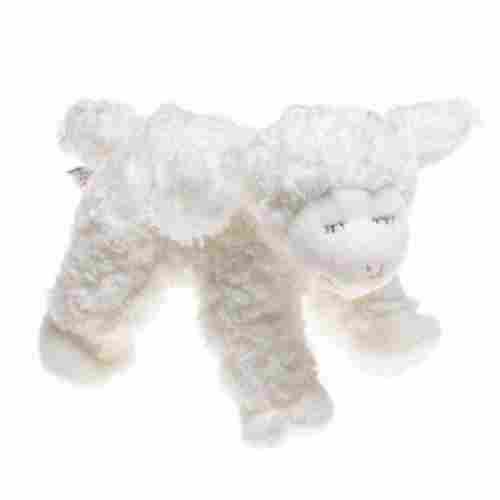 The Gund Winky Lamb Baby Rattle is a wonderful baby shower gift! The toy is safe to use for a baby as it is crafted from soft and gentle material that is easily washable and has embroidered material that prevents loose pieces coming apart. The mom will appreciate the development focused playfulness this toy provides as the rattle feature helps to develop a baby’s sensory abilities. Even better, this toy will give mom and baby a peace of mind as it gives the baby a sense of security and safety during sleep time. It provides baby with auditory and tactile stimulation to help with brain development. Mom will feel a lot safer knowing the toy doesn’t have anything hard which can injure baby. A shower gift should be a gift that can be enjoyed by all. That includes the features of a gift such as interactive abilities, the design, and even the texture. Entertaining isn’t just defined by fun. It can also be defined by uniqueness or even love. A gift should be useful for who will be using it. Useful for the mom to make her workload less stressful and useful for the baby to keep the baby busy and entertained. A useful baby shower gift can also provide a solution and help make things better for mom and baby. The cost of a gift can send a subconscious message and a very cheap gift could speak volumes of carelessness but a very expensive gift could display a sense of vanity and make other gift givers feel less than. Unless the gifts have been already been listed in a gift registry, it’s best to stick with gifts equal or average price value. That a baby shower gift is just not for baby. Many moms to be report that receiving something personal that is used during labor or after the baby is a wonderful gift to receive. Buying a new mom the one thing that you loved the most when you had your baby maybe be one of the best gift ideas ever. Don't forget to share with her why it was the BEST. Very safe and has its safety as top priority. Any gift items should be crafted from safe and toxic free materials, have soft textures, rounded edges and strictly made for newborns, infants, babies. Help encourage the various types of development. Moms-to-be want the best for their future little ones and that includes a wonderful head start in their delicate development. Gifts that focus on development should help with motor skills, cognitive skills, sensory development and even educational development such as language and numbers. Gifts should be appropriate and make sense. This is not the time for adult-themed gag gifts and the gift shouldn’t be so outrageous that it easily offends or shocks the mom-to-be. Unless specified in the baby registry, it’s best to stick with baby shower gifts that are baby and mom-to-be appropriate and will be equally loved by everyone at the shower. q: What is a baby shower? The shower is a celebration of a mom-to-be and her expected infant. Different cultures celebrate it differently and some include gifts while others do not. Some celebrations are only performed for the firstborn. q: Why are baby showers important? These types of celebrations are important because they celebrate a woman’s passage into motherhood and to show appreciation of her motherhood and her soon to be born baby. They are also a great way to help prepare mom-to-be for motherhood by giving her useful gifts that will help her transition and take care of the baby. q: Is a baby shower gift necessary? Yes and no. There are some cultures who do not offer gifts and some cultures find it quite rude not to offer a gift if you are invited to the baby shower. It all depends on the discretion of the mom-to-be and it’s best to follow her wishes. q: What is the best baby shower gift? As every baby shower is unique, the best baby shower gift can vary. Some moms-to-be might prefer a fun gift and some might prefer a practical gift but the gift should never be a competition. As always, check with the baby registry and the wishes of the mom-to-be. q: Are baby showers only for women? Traditionally, baby showers are usually women only but co-ed baby showers are becoming popular and even dad baby showers are starting to happen. The choice still belongs to the mom-to-be and her family and whatever choice is made should be respected. q: How can I discover even more baby shower gifts? You should start with the Born Cute “20 Best Baby Shower Gifts for the Expecting Mum In 2019” list: Click the link of the baby shower gift that interests you and when you arrive at the Amazon page for the baby shower gift you selected, scroll down to the “Customers Who Viewed This Item Also Viewed” OR “Customers Who Bought This Brand Also Shopped For” lists. Those two lists can give you a great starting point in discovering other baby shower gifts.